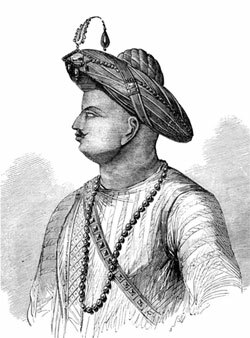 As the controversy over whether “Tiger of Mysore” Tipu Sultan was an Islamic iconoclast or a secular nationalist rages on in India, it is time for us to reflect on a different side of the man—that of an able ruler and visionary who revolutionised the economy of his kingdom, improving the lives of millions of his subjects. Among the many contributions of Tipu, one in particular stands out. The sultan laid the foundations of the silk industry in Karnataka, especially in the southern part of the state. Although the exact date is not known, Tipu’s and Mysore’s tryst with silk began in the early 1780s when he received an ambassador from the Qing dynasty-ruled China at his court. The ambassador presented him with a silk cloth. The sultan was said to be so enchanted by the item that he resolved to introduce its production in his kingdom. This letter (numbered CCLVIII) was found by the British among hundreds of government records after the fall of Srirangapatna at the end of the Fourth Anglo-Mysore War in 1799. The records, amounting to some 2,000 items, were put in 35 boxes and sent via Fort St. George in Madras to Calcutta, renamed as Chennai and Kolkata respectively. Among them, three relating to sericulture were identified and translated soon afterwards. The type of silkworm that took root in Mysore as a result of Tipu’s efforts was very likely of a yellow bivoltine race (producing two broods in one year), of Chinese origin but obtained from Bengal. Losing its hibernating character in South India’s climatic conditions, it diverged from races known elsewhere and became the “Pure Mysore Race”. The fledgling sericulture industry in Mysore slowed down after Tipu’s death in 1799. But it held on. In 1866, an Italian industrialist set up the Silk Filature Company at Kengeri near Bengaluru. This company got assistance from the Wodeyar rulers of Mysuru. But the actual revival of Mysore silk happened nearly a century after Tipu’s death. On a visit to Japan, legendary industrialist Jamsetji Nusserwanji Tata found that the Japanese were skilled at sericulture. He invited a Japanese couple, who were sericulture experts, to come to India. Tata chose Bangalore (now known as Bengaluru) due to its favourable climate, mulberry trees and the existing silk industry, thanks to Tipu Sultan. This effort was supported by the generous Maharaja of Mysore. The Maharaja endowed a farm house on rent-free basis to Tata along with an annual subsidy of Rs 3,000 for the cause. The Tata Silk Farm was established in 1902-1903. It went on to train several Indians from Mysore (Mysuru), Travancore, Madras and the Bombay Presidencies in sericulture. During the Second World War, the silk industry got a boost. All the cocoons produced in the state were diverted to the production of parachutes for the war in 1942. The Central Silk Board was established in Bengaluru 1949. Also, the Karnataka State Sericulture Department Institute was established in Talghatapura (southern Bengaluru) with help from the World Bank. 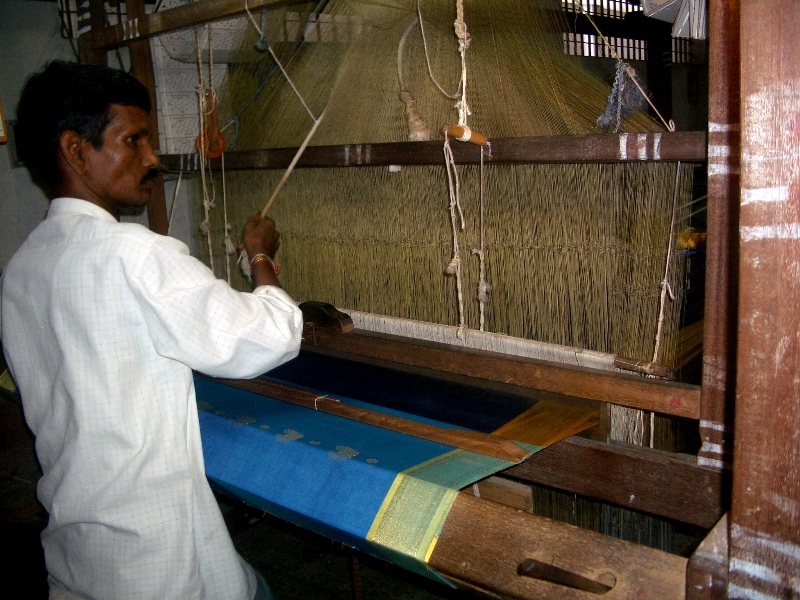 The institute undertakes applied research in the silk industry. This, then, is the story of how an industry established by one man now employs numerous people across Karnataka (and other parts of South India). Tipu Sultan had many other achievements to his credit. He is remembered by military tacticians across the world for his rockets first used in armed warfare against British troops. He and his father established a “horticultural gem” in the form of the Lal Bagh gardens. He encouraged the cultivation of many different crops in his realm. The Mysore Buffalo breed, gold and copper mining, metallurgical works, toys and lacquerware, and arms and ammunition—all of these were developed during Tipu Sultan’s reign. The current debate—whether his persecution of the Nairs of Malabar and Travancore, the Syrian Christians of Malabar, the Catholics of Mangalore and the Kodavas of Kodagu was influenced by iconoclasm or statecraft—ignores the entirety of his work as ruler.